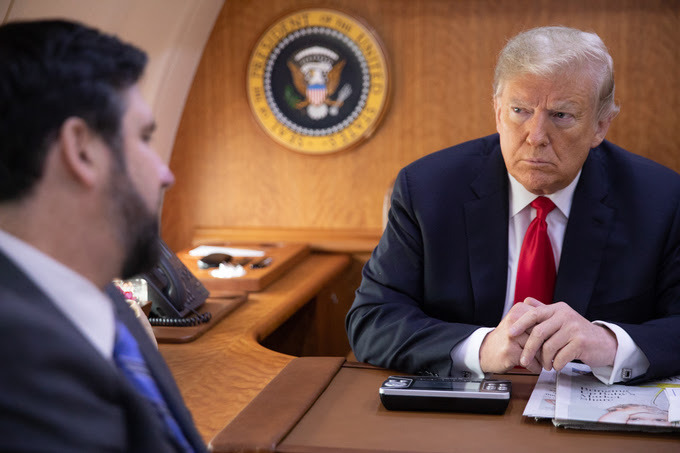 WHITE HOUSE PHOTO — President Donald Trump briefed by national security aide Michael Burnett aboard Air Force One about the mass shooting at the Tree of Life Synagogue. President Donald Trump ordered the flag of the United States to be flown at half-staff at the White House, U.S. embassies, and upon all public buildings and grounds. 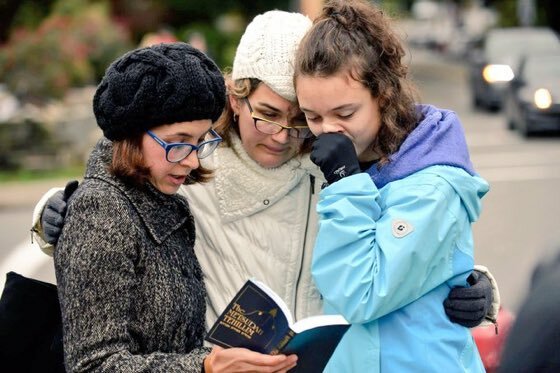 Trump also told reporters yesterday that he intends to visit the Pittsburgh synagogue, but did not give a time frame. Israeli Consul General Dani Dayan visited the scene on Saturday night. [Pic] Dayan will attend the funerals of the victims and participate in public mourning events. 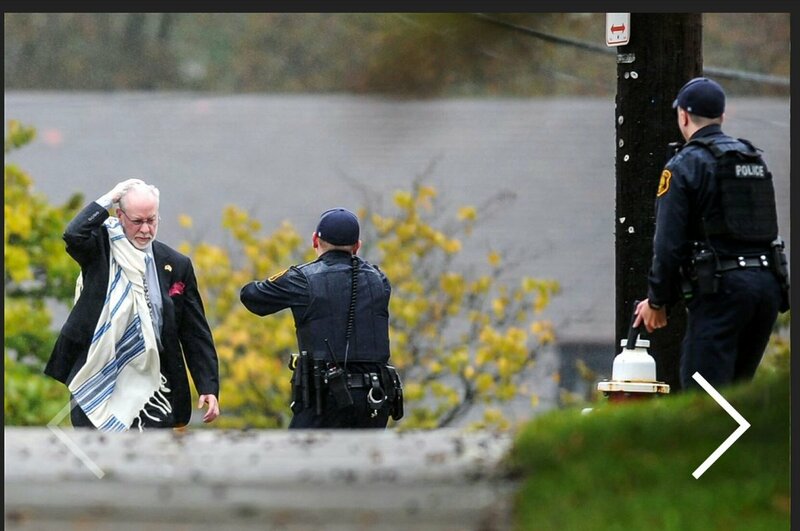 He will also meet with Pennsylvania Governor Tom Wolf, Mayor Bill Peduto, and members of the Jewish community.